Look at the back of your iPhone, or your iPad, or on the bottom of your Mac. You’ll see the following words embossed somewhere: “Designed by Apple in California. Assembled in China.” Many Americans, all the way up to the President himself, have wondered why Apple has outsourced virtually all of its manufacturing overseas. At a dinner with several top US technology executives last year, President Obama asked Steve Jobs flat out what it would take to bring those jobs back to the US. According to Jobs, there’s simply no way for it to happen. Why not? Why can’t iPhones, iPads, and all the rest of Apple’s magic gadgets be built in the States? More generally, why can’t more US-based consumer electronics and computer companies do their manufacturing work domestically, helping to create American jobs and boost the struggling economy? The New York Times asked that question, and after an extremely well-researched report involving interviews with both former and current executives at Apple, the answer the Times found is both simple and chilling: iPhones aren’t made in America because they just can’t be. The infrastructure and labor force doesn’t exist at the levels necessary to support Apple’s operations — it’s not even close. The Chinese factory where most iPhones reach final assembly employs 230,000 workers. I just asked Siri how many cities in the US have a population higher than that, and the answer was a mere 83 cities — and that’s total population, not workforce. With an average labor force of around 65 percent of the population, only 50 US cities are large enough to provide that kind of labor pool… and even in the biggest US city of them all, New York, 230,000 people still amounts to almost three percent of the city’s entire population. Can you imagine three out of every hundred New Yorkers on an assembly line, cranking out iPhones every day? Those are just a couple examples of how the scale, speed, and efficiency of Chinese manufacturing outstrips anything the US is currently capable of. But the Times’ report is full of more evidence, and it’s damning. Even though the 200,000 assembly-line workers putting part A into slot B could potentially be classified as unskilled labor, the 8700 industrial engineers overseeing the process can’t be — and according to the Times, finding that many qualified engineers in the States would take nine months. Chinese manufacturers found them all in 15 days. 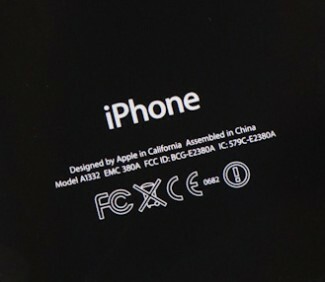 With the notable exception of the A5 processor, most of the components used to make the iPhone are also manufactured overseas, many of them within a relatively short distance of the final assembly plant. Shipping those components to any potential US-based factories would incur greater costs, and even worse from Apple’s perspective, manufacturing delays. Traditional defenses of outsourcing of manufacturing jobs have revolved around cost. “It costs more money to build in America,” the reasoning goes; “You have to pay your workers more, you have to pay benefits, insurance, higher taxes. Everything costs more.” Since companies want to make a profit, that added cost inevitably gets passed on to the consumer in inflated prices for goods. Anyone who knows how Jobs worked knows that he wasn’t bluffing — if the iPhone didn’t meet his standards, it wouldn’t go on sale, period. Six months of anticipation had driven demand for the first iPhone into a frenzy, so Apple knew it was going to have to crank them out as quickly as possible. But the last-second change to what was arguably one of the iPhone’s most central components meant initiating the kind of mad scramble that simply wouldn’t be possible in US manufacturing. Apple would have been an industry laughingstock for as long as it took to overcome the manufacturing delay. Instead, what might have taken months to transpire in the US took place in six short weeks; Apple sourced a virtually scratchproof glass from Corning, and Chinese factories rapidly managed to integrate it into the existing iPhone design. As it’s an American company reaping unprecedented financial rewards, many Americans have lamented the fact that the rewards coming back into America are so comparatively meager. Apple employs 43,000 people in the United States, less than a fifth the number of contractor employees assembling iPhones at one Chinese factory. One could argue that Apple’s success has come at the expense of the American manufacturing workforce, but if the New York Times’ report is anything to go by, it seems the workforce Apple would have needed in America never existed to begin with.